The soap and lotion dispensers by Eva Solo are functional and hygienic, avoid dry hands and discreetly fit in with every bathroom or kitchen furnishing. Thanks to their elegant shape which is free from visible screw-caps and angles and edges, the dispensers are easy to handle, clean and refill again. The transparent plastic inner container has a measurement display up to the maximum amount. This makes it impossible to over-fill the dispenser. The Stainless Steel Soap Dispenser by Eva Solo is already a successful product, which is now also available in a white edition. You can fill the soap dispenser with soap or disinfectant gel as you wish. You won’t only raise the standards of hygiene in the bathroom or the kitchen with the Eva Solo soap dispenser, but also the demands on functional design. The lotion dispenser superbly matches the soap dispenser. Mixing up both dispensers is impossible as the lotion dispenser is a little smaller. Fill the lotion dispenser with hand lotion and avoid having dry, rough hands directly after washing the dishes in the kitchen or your hands in the bathroom. 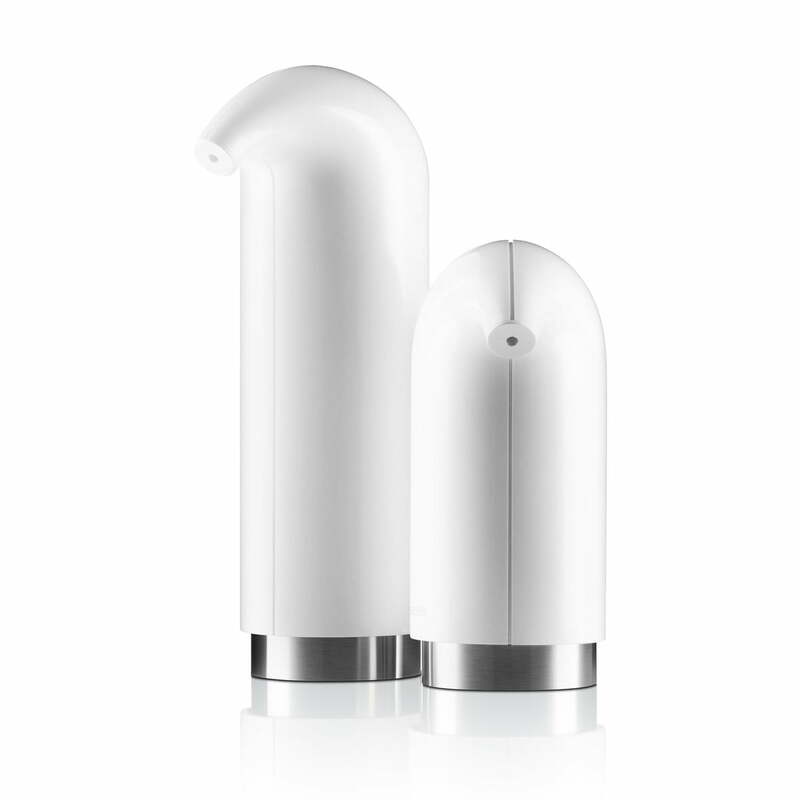 Whether separate or in the practical combined set: the timeless and functional design of the soap and lotion dispenser by Eva Solo fits in with nearly every furnishing. 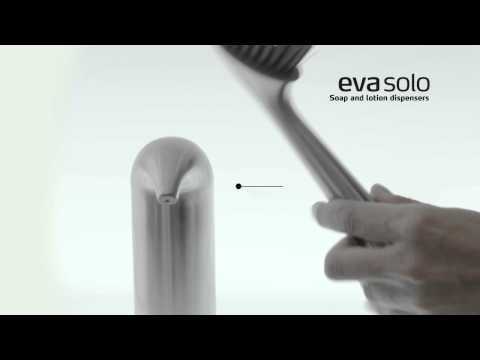 The product video shows the advantages and features of the Soap and Lotion Dispenser by Eva Solo. 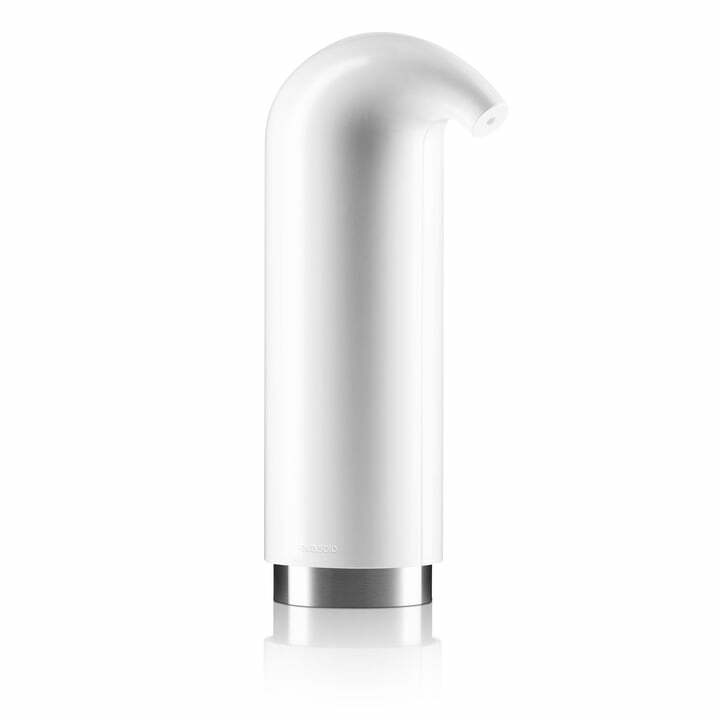 Hygienic design, a generous opening for refilling and the practical pump function.